Virtual Jewish World: Washington, D.C. In contrast to U.S. cities where the first Jews, often Sephardi in origin, arrived in the 17th and 18th centuries, Washington's Jewish community got a later start. The diamond-shaped area along the shores of the Potomac River was not designated as the future home of the federal district until 1790; the federal government arrived 10 years later. Washington's economy, based largely on the presence of the federal government, lacked the manufacturing of other cities. Jewish residents in the first decades of the 19th century, and many of those who followed later, were attracted by the growing capital's economic opportunities or arrived to pursue federal service. As Washington was not a port of entry, 19th- and early 20th-century immigrants did not arrive in the city directly. Most had previously spent time in port cities such as New York and Baltimore. Among the earliest Jewish residents was land speculator and builder Isaac Polock, grandson of a founder of the Newport, Rhode Island, synagogue, who arrived from Savannah, Georgia, in 1795. Anticipating the ensuing needs of the federal government, Polock completed a row of buildings near the President's House. Known as the Six Buildings, they initially housed the U.S. State Department and the Secretary of the Navy. In 1828, Captain Alfred Mordecai, of North Carolinian colonial lineage, was assigned to the Washington Arsenal and made his home in Washington. His daughter, Rosa (b. 1839), was the first known Jewish child born in Washington. Mordecai became superintendent of the Arsenal during the Mexican-American War (1846–1848). Rather than fight against his native South, he resigned from the army at the start of the Civil War. For decades, the numbers of Jews in Washington remained small, estimated at only 25 in 1847. The population grew significantly in the late 1840s and the 1850s with the arrival of German-speaking immigrants fleeing dwindling economic prospects, harsh restrictions, and failed revolutionary movements in Central Europe. Many of the new arrivals were merchants who catered to the growing federal city. In 1852, 21 German-speaking men met in a Pennsylvania Avenue home to form Washington's first Jewish congregation, which would become known as the Washington Hebrew Congregation. The congregation petitioned Congress (constitutionally responsible for local law) for legislation ensuring its right to own property in Washington. President Franklin Pierce signed "An Act for the Benefit of the Hebrew Congregation in the city of Washington" on June 2, 1856. U.S. Navy Captain Jonas P. Levy, a president of the congregation and a popular hero of the Mexican-American War, assisted the congregation in that endeavor. Today one of the nation's largest Reform synagogues, Washington Hebrew, is the only congregation in the country with a Congressional charter. During the Civil War (1861–1865), the city's Jewish population grew from 200 to almost 2,000, with some soldiers staying in Washington after completing their service. Most Jewish newcomers were merchants arriving to serve the wartime boom. One newspaper reported six kosher restaurants operating in the capital during the 1860s. Washingtonians organized the first Washington lodge of B'nai B'rith (the Elijah Lodge) in 1864. During the war, the women of the Washington Hebrew Congregation raised money for the U.S. Sanitary Commission, and the congregation's visiting nursing corps ministered to injured soldiers. Among the Jewish Civil War soldiers cared for by the Washington Hebrew nurses was Leopold Karpeles who was awarded the Medal of Honor for his service during the Battle of the Wilderness (1864). After the war, Karpeles married his nurse, Sarah Mundheim, and became a clerk in the U.S. Post Office Department. Changes to the liturgy and the introduction of a melodeon (an organlike keyboard instrument) at the Washington Hebrew Congregation upset a small group of like-minded traditionalists who resigned to found Adas Israel Congregation in 1869. President Ulysses S. Grant attended the 1876 dedication of its synagogue, the first building constructed as a synagogue in Washington. Grant's presence at the dedication was particularly meaningful. During the Civil War, General Grant had issued Order No. 11 (1862) expelling Jews "as a class" from Mississippi, Tennessee, and Kentucky on charges of war profiteering. In 1861 the Washington Hebrew Congregation established the city's first Jewish school, an all-day program that compensated for the lack of public schooling in the District of Columbia. By 1870, with a new public school system in place, the Jewish elementary school closed. For more than half a century Jewish education in the nation's capital would consist of supplementary classes meeting on weekday afternoons and on weekends. By 1880, many of Washington's 1,500 Jews were second-generation Americans, including shopkeepers, clerks, established merchants, and a smattering of professionals. They were soon joined by a new wave of Jewish immigrants, Orthodox Jews fleeing Eastern Europe's pogroms, poverty, and forced military service. The influx of newer immigrants in the 1880s and 1890s made necessary new philanthropic institutions, including the Hebrew Relief Society (1882; later the United Hebrew Relief Society), United Hebrew Charities (1890), the Jewish Foster Home (1908), the Hebrew Free Loan Society (1909), and the Hebrew Home for the Aged (1914). One of the outstanding leaders in these endeavors was Minnie Lansburgh Goldsmith (1871–1971), daughter of department store owner Gustav Lansburgh. She served as president of the United Hebrew Charities, led fundraising efforts for the Jewish Foster Home and the Hebrew Home for the Aged, and helped create Washington's Community Chest, predecessor to the United Way. The arrival of new immigrants increased Washington's Jewish community to 10,000 by 1920. Zionist activity in Washington dates to the early 20th century, with the founding of the Washington Zionist Organization, the local chapter of the Zionist Organization of America (c. 1901), Washington Poale Zion Society, and Washington's first Hadassah chapter (1919), formed shortly after a visit to the city by Hadassah founder Henrietta Szold. Jews principally settled where existing commercial development suggested the viability of small businesses, running grocery stores, meat markets, dry goods establishments, hardware stores, and the like across the city. Families often lived above their shops and formed congregations in the neighborhoods. One of the largest concentrations of Jewish residents clustered around Seventh Street NW, one of the city's main business districts. Amid small furniture, fancy goods, jewelry, and millinery shops, several Jewish merchants expanded their businesses into fashionable department stores such as Lansburgh's, Hecht's, and S. Kann & Co. 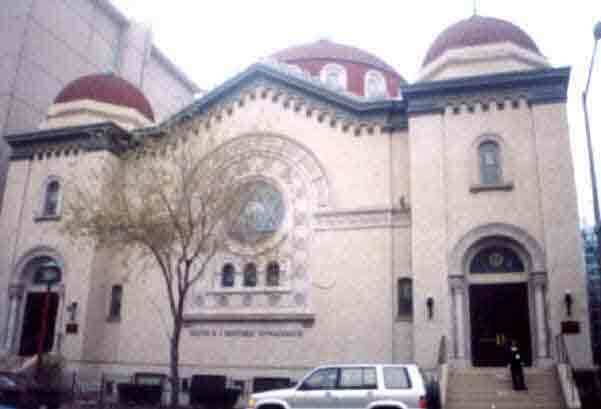 In the early 20th century, enough families lived in the Seventh Street neighborhood to support three synagogues within as many city blocks: Washington Hebrew Congregation, Adas Israel Congregation, and Ohev Sholom Congregation (1886), the first congregation in Washington founded by Russian Jews. New immigrants also joined the handful of German-speaking Jewish merchants in Georgetown and Southwest Washington. In Georgetown, German-speaking Jews had established the Mount Sinai Society (1860s), later absorbed into Washington Hebrew. In 1910, Orthodox Russian immigrants founded Kesher Israel Congregation, which remains on the same site today. In the early 20th century, close to 200 Jewish families in Southwest D.C. supported two synagogues, Talmud Torah Congregation (1887) and Voliner Anshe Sfard (1908). Al Jolson (born Asa Yoelson) attended synagogue at Talmud Torah, where his father, Moshe Yoelson, served as a cantor, mohel and shoḥet. Many Russian Jewish immigrants also settled along H Street NE in the early 1900s and founded Ezras Israel Congregation (1907). A small community of Orthodox Jews living nearby on Capitol Hill established the Southeast Hebrew Congregation (1909). World War I introduced a new wave of soldiers and government war workers to the capital. A group of young men who had formed the Young Men's Hebrew Association (YMHA; 1911) organized activities for arriving government workers and the first servicemen's club in the United States. The YMHA and the Young Women's Hebrew Association (1913) hosted dances, Sabbath services, and recreational opportunities for the thousands of Jewish servicemen and servicewomen posted in Washington during the war. After the war, national and local leaders raised money to build an impressive Jewish Community Center (JCC) on Sixteenth Street (1926), one mile from the White House. A local Jewish newspaper, the National Jewish Ledger (now Washington Jewish Week), began publication in 1930. The Jewish Community Council organized in 1938 as a unified voice for communal organizations on issues of importance to the Washington Jewish community. As Jews became more established, they moved uptown into neighborhoods made possible by the development of streetcar suburbs in the northernmost areas of Washington and in nearby Maryland. New congregations were also founded in these uptown neighborhoods. The move northward was restricted in part by developers who placed covenants in real estate deeds prohibiting sale or lease to Jews, African Americans, and other racial and ethnic groups in areas like Spring Valley, an upscale neighborhood, and parts of Chevy Chase, Maryland. Although the Supreme Court ruled restrictive covenants unconstitutional in 1948, their effects lingered in many neighborhoods. Although the presence of the federal government spared Washington the worst of the Great Depression, organizations like the Hebrew Sheltering Society provided kosher meals, a change of clothes, and lodging for those newly arrived in Washington and looking for work. The 1930s and 1940s saw a more than doubling of Washington's Jewish population, as young professionals arrived to work on President Franklin Delano Roosevelt's New Deal, for the war effort, and in an expanding civil service. Many of them first-generation Americans, they helped shape and implement New Deal policies and programs of social relief and reform. As Hitler's grip tightened on Europe in the 1930s, Washington became a fulcrum of Zionist and rescue activity. Washingtonians worked to rescue European Jewish children and to support a Jewish homeland in Palestine as a haven for refugees. In 1938, 4,000 protesters packed the Daughters of the American Revolution's (DAR) Constitution Hall to pressure the British government to open Palestine to Jewish immigration. Local clergy of many faiths, civic leaders, and congressmen addressed the crowd and attendees petitioned President Roosevelt to intercede on behalf of Jews seeking to immigrate. The Women's Auxiliary of B'nai B'rith's Argo Lodge, whose anniversary luncheon in 1938 was attended by First Lady Eleanor Roosevelt, raised money on behalf of European Jewish refugees. Denise Tourover, Hadassah's first Washington representative, led lobbying and fundraising efforts to rescue the "Teheran children" – 700 Polish orphans stranded in Persia after making their way out of Europe. In 1943 she pleaded with State Department officials and ambassadors until British ships finally transported the children to Palestine. As the nation mobilized for war, Jews were among the tens of thousands of soldiers and war workers who arrived to serve at the epicenter of the Allied war effort. In 1941 alone, the JCC room registry helped find housing for 4,000 Jews in local boarding houses, some of which catered to Jewish residents with kosher-style meals. Local organizations and synagogues sponsored religious services for military personnel. Like American Jews in general, Washington Jews held differing views about Zionism. In 1940 and 1941, leaders of the Washington chapter of the Zionist Organization of America (ZOA) worked to build local membership. The Washington apartment of Supreme Court Justice Louis D. Brandeis served as a salon for national and local Zionist leaders. Rabbi Norman Gerstenfeld of the Washington Hebrew Congregation spoke ardently against the idea of a Jewish state. Local Zionists – such as Edmund I. Kaufmann, Zionist Organization of America president (1940–1941), and Rabbi Isadore Breslau, director of the American Zionist Bureau's lobbying efforts – rose to prominence on Washington's national stage. In the aftermath of World War II, many of the most influential members of Washington's Jewish community participated in a secret fundraising campaign to support the Haganah in its war for independence. Men and women raised money to provide ships and crews to support Aliyah Bet (illegal immigration to Palestine), to purchase machinery for a munitions factory, and supply World War II surplus weapons and explosives for the Haganah. The local United Jewish Appeal met its first million-dollar campaign in 1946 to help meet the overwhelming economic and social needs of Jewish immigrants in Palestine. In 1947, Washington Jews tapped personal connections in the embassies and the White House to influence the UN vote on the partition of Palestine. As David Ben-Gurion proclaimed the independence of Israel in Jerusalem on May 14, 1948, an exuberant crowd of Washington Jews gathered at the Jewish Agency building on Massachusetts Avenue NW. They danced and sang as the new flag was raised. Local Jews selected and purchased Israel's first embassy near Embassy Row shortly after statehood. Formerly non-Zionist and anti-Zionist organizations and individuals, including Rabbi Gerstenfeld, came to support the new nation. The presence of the Embassy of Israel in Washington reinforced the community's ties to Zionism, with the ambassador and his family playing an active role in local religious and community life. With the expansion of the federal bureaucracy in the postwar period, returning veterans and newly arrived government workers contributed to the transformation of Washington from capital city into metropolitan region. Seeking new homes, many Jewish residents joined an exodus to the Maryland and Virginia suburbs. By 1956, half of the area's 81,000 Jews lived outside the city limits. Many Jewish-owned businesses followed. Synagogues also moved to follow their congregants, and suburban residents formed new congregations, including the Arlington Fairfax Jewish Center (now Etz Hayim), which began meeting in Arlington, Virginia, in the early 1940s, and the Montgomery County (Maryland) Jewish Center (now Ohr Kodesh), founded in 1947. Jewish builders and real estate developers played a major role during Washington's postwar building boom. When it opened in 1944, Hebrew Academy (Orthodox) became the first day school in the Washington area in nearly a century. A number of smaller schools, including Beth Jacob School and a Yeshiva High School, operated in Washington for a number of years in the 1950s and 1960s. In the late 1950s community leaders made plans to move communal agencies to the Maryland suburbs to serve the burgeoning suburban population. In 1969, the Jewish Community Center, the Hebrew Home for the Aged, and the Jewish Social Services Agency (later joined by the United Jewish Appeal (UJA) and the Jewish Community Council) relocated to a centralized campus of Jewish institutional life in Rockville, Maryland. The process was accelerated by the urban riots in the late 1960s. As Jews left Washington, D.C. neighborhoods and fled to the suburbs, so, too, did Jewish institutions. B'nai Israel relocated to Rockville – as part of a cluster of Jewish institutions that included the JCC of Greater Washington, the Hebrew Home for the Aged and the Charles E. Smith Jewish Day School. Adas Israel almost moved from its Quebec Avenue NW site, save for the objection of some donors, who had only recently contributed to its construction. Within several years, it was again thriving, as the Metro opened almost at its front door. The Jewish Community Council placed civil rights issues at the forefront of its activities in the 1950s and 1960s. The Council lent its name to the Thompson's Restaurant court case, decided by the Supreme Court in 1953, which ended segregation in public accommodations in Washington. Following Brown v. Board of Education (1954), which declared segregated public schools unconstitutional, the Council worked with city and religious leaders to encourage peaceful integration. Washingtonians joined thousands in the national Jewish community who protested the treatment of Soviet Jews with massive demonstrations on the Mall in the 1970s and 1980s and maintained a daily vigil outside the Soviet embassy from 1970 to 1991. Church groups took over the vigil on Shabbat and on the High Holidays. In 2005, 83% of greater Washington's 215,000 Jews lived in the Maryland and Northern Virginia suburbs. Although the Jewish community is clustered most densely in lower Montgomery Country, Maryland (36%), the community now extends to the far reaches of the Greater Washington, D.C. metropolitan region. Northern Virginia experienced a one-hundred and eleven percent growth in its Jewish population between 1983 and 2003. In 2004, Congregation Sha'are Shalom built the first Jewish house of worship in Loudoun County, Virginia (25 miles from Washington, D.C.). Over 70 congregations and three JCCs serve the metropolitan area. The Washington-Baltimore corridor is virtually one continuous city, yet the Jewish communities of Washington and Baltimore are quite separate and the Jewish community of Columbia, Maryland, is also independent, though more linked to Baltimore than to Washington. In addition to synagogue religious schools, serving the community in the area of Jewish education are the Hebrew Academy (1944), which had moved from 16th Street in Washington to nearby Silver Spring, and then again out closer to the Orthodox community in Kemp Mill; Charles E. Smith Jewish Day School (1972; a community day school, which evolved out of a Solomon Schechter Day School established in the 1960s), one of the largest day schools in the Diaspora, located in Rockville; the Jewish Primary Day School, first housed at Adas Israel congregation and later at the 16th Street home of the Hebrew Academy (1987; an independent, community K-6 school); and Gesher (Northern Virginia's community day school). Theater J, located in Washington D.C., is one of the premier Jewish theaters in the country, hosting traditional and modern performances year-long. The Jewish Community Relations Council of Greater Washington, comprised of over 210 constituent organizations in the early 21st century, encourages collaborative partnerships within the area's Jewish community and between the Jewish community and the broader society. One local project has provided tours of the U.S. Holocaust Memorial Museum for Washington, D.C. police officers. The United States Holocaust Memorial Museum is a major presence of Jewish memory adjacent to the National Mall and has drawn almost four out of five American Jews as pilgrims. The U.S. Holocaust Memorial Museum is the second most visited museum in Washington. Although the majority of the Jewish community lives in the suburbs, a resurgence of interest in maintaining a Jewish presence downtown has occurred over the last decades. District residents formed a new downtown Jewish Community Center in the late 1970s, and in the 1990s purchased, restored, and reopened the original JCC building. The first building constructed as a synagogue in Washington is listed on the National Register of Historic Places and is maintained by the Jewish Historical Society of Greater Washington as the Lillian and Albert Small Jewish Museum. The second home of Adas Israel, a church for half a century, has been restored and reopened as the Sixth and I Historic Synagogue, providing a downtown meeting place for the community. Organizations like DC Kosher make it easier to live a observant Jewish life in the city. DC Kosher is a volunteer-based organization launched in early 2018 that works to Kosher-certify DC area vegan and vegetarian restaurants. Their focus is on vegan and vegetarian options because they require less oversight than restaurants that serve meat do. Jewish Washingtonians have served in elected and appointed positions in the local and federal governments since the 19th century. Adolphus Solomons (1826–1910), publisher and proprietor of a Washington bookstore, served in the Washington, D.C. House of Delegates (1871). He turned down the offer of the governorship of the District, as the position would have required working on the Sabbath. Simon Wolf, who moved to Washington in 1862 after receiving his law degree, served as recorder of deeds for the District of Columbia. In the 20th century, local Jews have served in the district government and as ambassadors, policy advisors, heads of federal agencies and Supreme Court justices. Many have joined local synagogues and taken part in the life of the Washington Jewish community. Senator Joseph Lieberman, the first Jewish candidate for vice president (2000), is a member of Kesher Israel Congregation in Georgetown. Many Jews who come to Washington for what they think to be a brief stay in elective office or government service make Washington their permanent home. Senators and congressmen, Supreme Court justices, cabinet officials, ambassadors to the United States from foreign countries and high-ranking staff of the executive branch, the judiciary and the Congress, and their spouses and children, are found in synagogues and schools, ordinary participants in Jewish life. Washington's confluence of religious, civic, and political life and its status as national and international capital have made it a fitting backdrop for national Jewish dialogues. In the 19th century, Adolphus Solomons counseled local and national Jewish leaders and played a pivotal role in convincing President Lincoln to allow Jews to become military chaplains during the Civil War. Simon Wolf, one of the most influential Jewish leaders of his time, advocated on behalf of Jewish issues worldwide through his work with the Board of Delegates of American Israelites. When the Board merged with the Union of American Hebrew Congregations in 1878, Wolf served as chairman of the UAHC's Board of Delegates of Civil and Religious Rights for over 30 years. In 1913, Carrie Simon, wife of Rabbi Abram Simon of the Washington Hebrew Congregation, created the National Federation of Temple Sisterhoods. Lobbyists, activists, dignitaries, and philanthropists convene in Washington to discuss support for Israel and legislative issues of concern to the American Jewish community. Many national Jewish organizations and lobbying groups, including the American-Israel Public Affairs Committee (AIPAC), the national office of the Jewish War Veterans, the Union of Reform Judaism's Religious Action Center, B'nai B'rith International (which established its national office in Washington in 1943), and Hillel: The Foundation for Jewish Campus Life, are headquartered in the capital. As of 2018, Jewish Greater Washington is the United States' third largest Jewish metropolitan area, with a population estimated at 300,000 people including 28,000 living in the District itself. Jews make up 6% of all Washington metro-area residents, and the number of Jews in the area has grown 37% since 2003. Lauren Landau. More D.C. Restaurants Are Going Kosher With The Help Of This New Organization, DCist, (July 5, 2018).